On the west side of Iquitos is the slum of Belén which is notable in large part because a large part of it is built on stilts in order to deal with the periodi rises in the river level, and another significant part is actually floats on the Itaya river. Belén's market abutt's Iquito's central districts and is an easily accessible venue in which visitors can see a traditional market in operation and see jungle produce and forest products, including natural and traditional medicines, on display and available for purchase. 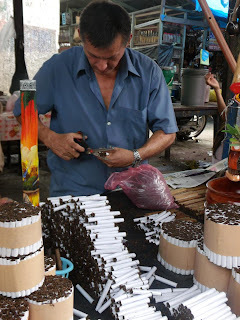 On our last morning in Iquitos we walked the few blocks from our hotel to the market, as I was curious to see the floating part of it and Jacho was keen to show me immense variety the traditional medicines sold by the market's hierberos - herb sellers. The variety of medicines and the breadth of ailments that they were intended to cure and the situations they were meant to help or ward off were indeed quite amazing -everything from coughs to infidelity, kidney stones to the evil eye. Black boa head, said to protect the home and ensure business success. 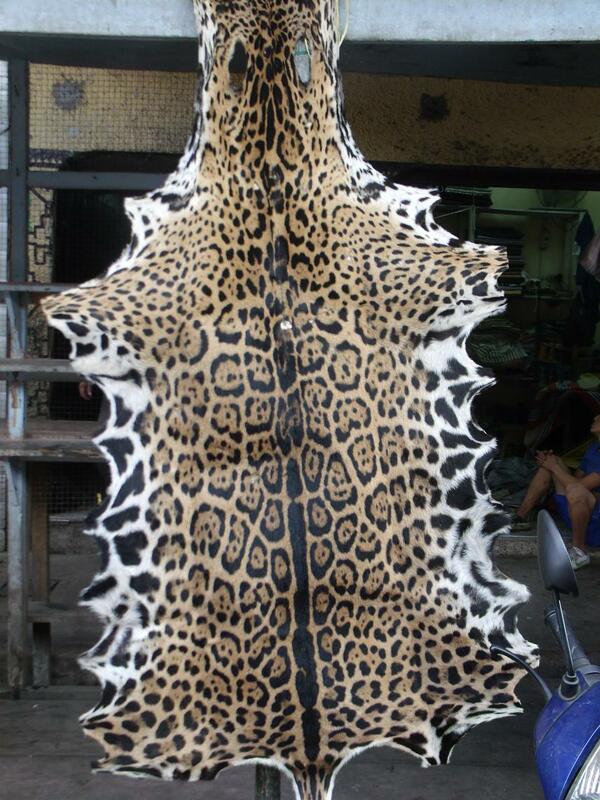 Unfortunately, there were also a couple of illegal jaguar pelts on sale as well. Unlike other markets I've been to, Belén's did not show any evidence of internal regulation. In most cases market stall operators will work to ensure some order and as much cleanliness as they can manage around their stalls. Not so in Belén, as far as we could tell. There were stinking puddles of black, garbage-ladden, muck everywhere, and people were serving and eating food literally elbow-to-elbow with dismembered chicken carcasses. 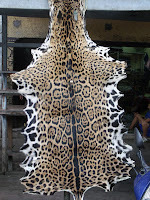 Belén's was the sketchiest, most insalubrious market I've ever experienced. The rest of the area was not much better, as we found out when we strolled down the steps and into Belén's slum area proper. We quickly deduced that we had made a serious error in walking down there, removed our watches and pocketed them, and as soon as we got to an intersection with a vehicular thoroughfare, we caught a pair of mototaxis and got out of there. Birthday Luncheon: My turn to cook!